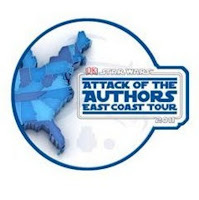 In the spring of 2011, Star Wars publisher DK Books announced their upcoming "Attack of the Authors East Coast Tour": A nine day, multi-stop event from Boston to Miami. 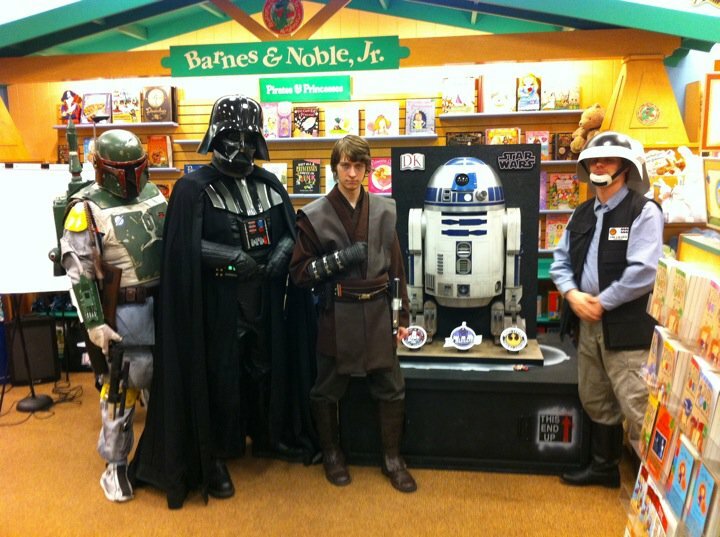 At books stores, libraries, and schools along the East Coast, Star Wars authors and illustrators would meet fans, autograph books, and talk about their work. Tour guests included authors Ryder Windham, Jason Fry, illustrators Chris Reiff & Chris Trevas, and Her Universe founder Ashley Eckstein (the voice of Ahsoka Tano in Star Wars: The Clone Wars). Co-sponsored by Mimobot and Her Universe, the Attack of the Authors events also featured guest appearances by costumed members of the 501st Legion and the Rebel Legion, members of the R2 Builders Club, as well as raffles and giveaways. A special element of the tour was a one-of-a-kind display piece dreamt up by the marketing team at DK books and Star Wars Blueprints illustrator Chris Reiff. 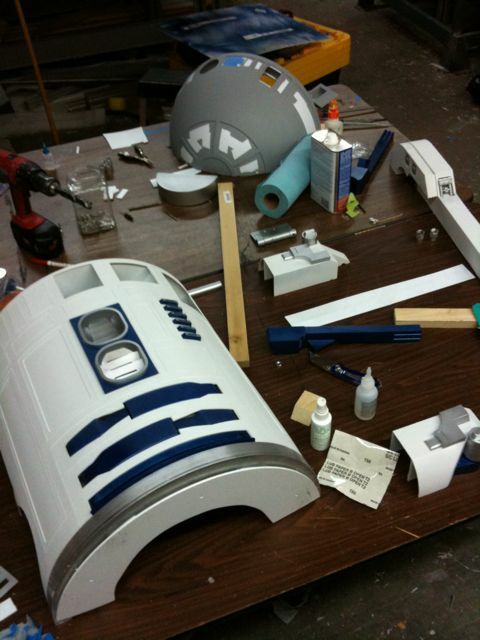 They envisioned a full-size R2-D2 display unlike any other: the front half a 3D R2-D2 replica and the back half a life-size blueprint as featured in DK's Star Wars Blueprints: The Ultimate Collection. 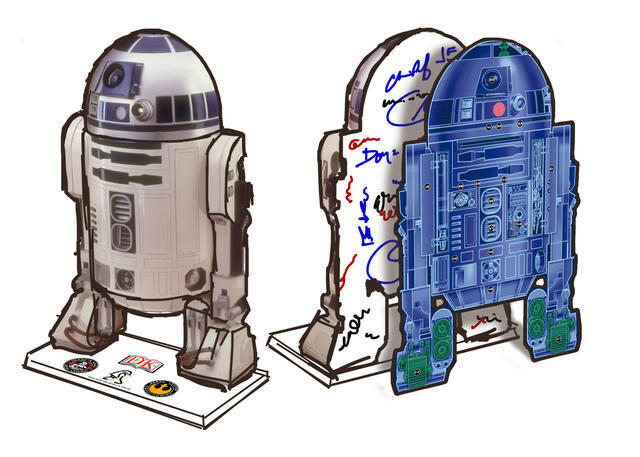 At every stop of the tour, Legion members and R2 builders could add their autograph to special inserts, creating a record of all fan group members who encountered the droid. 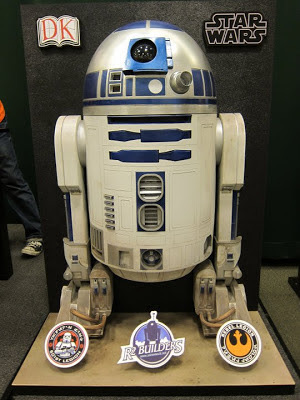 When the tour was over, the droid would be used to raise money for charity. Reiff created a rough sketch of the piece - a sketch that was eventually part of the press release announcing the tour. The special droid was known as R2-DK. With the tour scheduled and the droid officially announced, Reiff teamed with Cincinnati R2 Builder Daren Murrer to head up the construction of the droid with assistance from fellow builder Cole Horton. Thanks to special donations of parts from members of the R2 Builders club, the R2-DK team finished the droid display in record time. The unique design required that many parts be fully created and then cut in half. 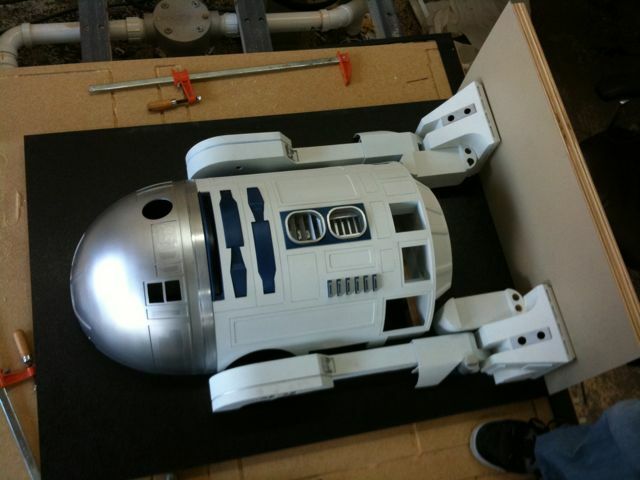 Once cut, parts were painted and attached to the display. Because the half-droid would make so many stops on the East Coast, Murrer and Reiff built a rugged shipping crate that doubled as a display base. 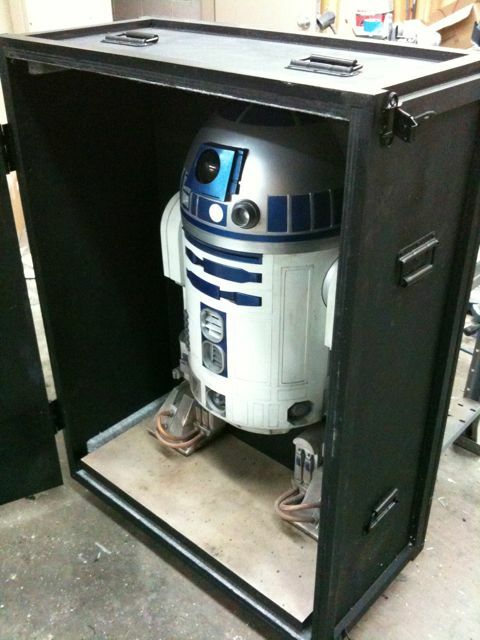 With wheels and handles, the case allowed the heavy droid to be moved from location to location with ease while protecting the little droid during his travels. 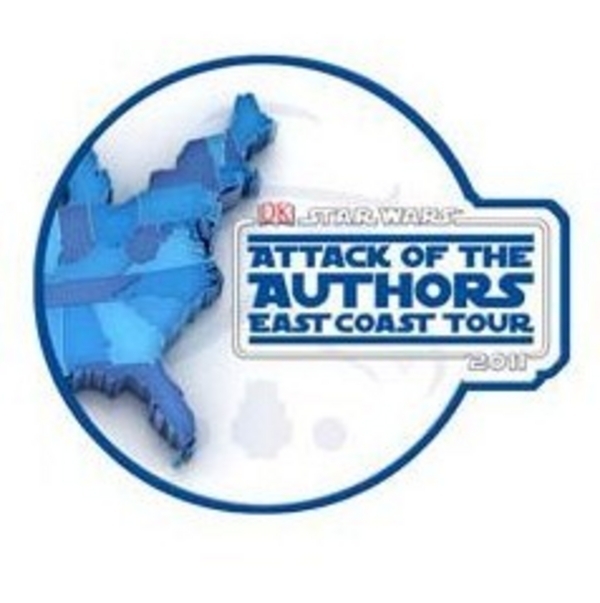 After the Attack of the Authors East Coast Tour, R2-DK continued to travel the country. Immediately following the tour, R2-DK travelled to Indianapolis, Indiana for an appearance at the R2 Builders Club DroidCon event. In November of 2011, the droid was displayed at The 501st Legion's Trooperfest celebration in Detroit, Michigan. 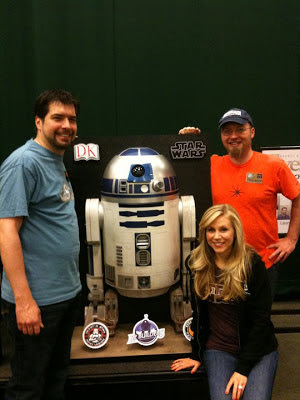 In 2012, R2-DK joined more than fifty other droids in the R2 Builders Club droid room at Star Wars Celebration VI.